What workaholics value the most? It's every minutes even second which is spent on the work. What hedonists want the most? It's the joy and comfort which they can enjoy anytime and anywhere they want. So it is the least one may believe that workaholics and hedonists may both want the same thing. Indeed, Fosjoas V6 electric unicycle are the desirable vehicles for both of them. 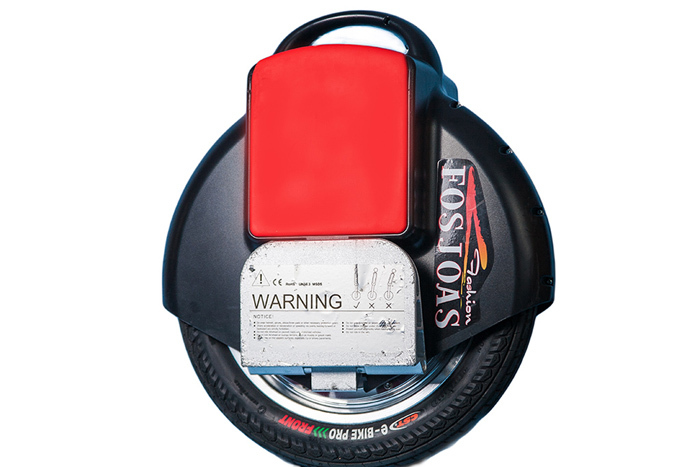 Fosjoas V6 electric unicycles are the newest model in Fosjoas V series products. The most signature design of Fosjoas V6 is the carbon-fibre grain outside the shell of the vehicles. The look of Fosjoas V6 makes itself the fashion icon on the road. Fosjoas adopted Sony Li-ion battery cores in Fosjoas V6; and the improved motor is more powerful and efficient. So Fosjoas V6 can cover the travel distance of 23 km at the speed of 18 km/h. The inside intelligent CPU and operating system make the control style of Fosjoas V6 more user-friendly, and offer riders with comprehensive protections like low batter protection and tilting protection. Fosjoas V6 intelligent scooters are the portable yet strong vehicles. For people who don't want to waste their precious time on the road, the Fosjoas V6 enables them to avoid the traffic jam and crowded metro. The extreme portability of Fosjoas V6 makes it possible to ride Fosjoas V6 on the sidewalks or in the underground passages at the same speed of cars. The endless car lines leave no trouble to riders and the huge crowd in the metro or buses won't ruin riders' suits anymore. For people who care more about the comfort and joy in the life, Fosjoas v6 one-wheel electric unicycle are also suitable to them. For field outings, Fosjoas V6 will take people anywhere they want. For leisure time in the city, Fosjoas V6 can also be the toys for young people who want to enjoy the quiet time by the river or play some extreme sport with Fosjoas V6. Fosjoas V6 electric scooters are people's best companions in both daily life and work. Previous：40 Million for Protecting the Environment? Indeed Just Fosjoas Scooters Are Also OK! Next：It's Difficult for Fosjoas Intelligent Scooters to Be "Sane"